"In that courtroom, you could hear a pin drop," the attorney said. 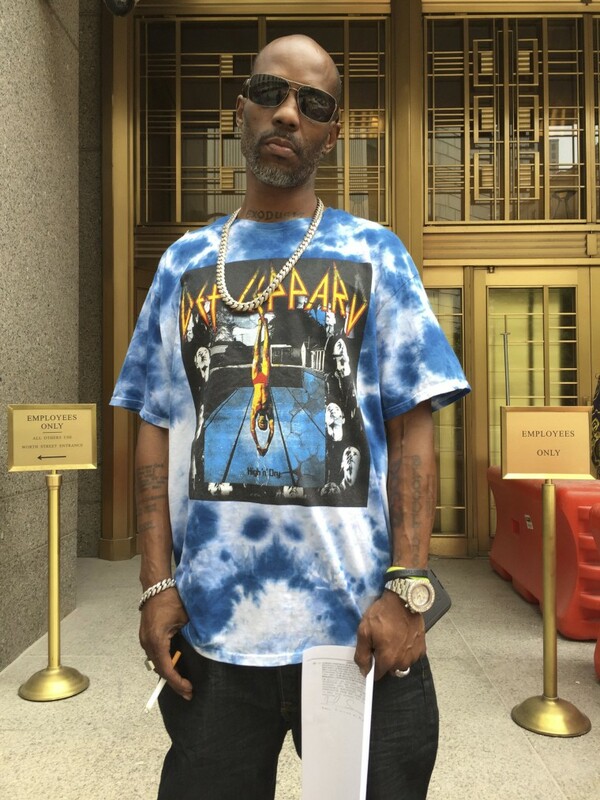 An attorney for DMX used an unusual court tactic on Wednesday before his client got sentenced for tax evasion: He played the rapper's hit song, "Slippin'" — in the hopes of convincing the judge to be lenient. "I've been through mad different phases like mazes, to find my way/And now I know that happy days are not far away," DMX, whose real name is Earl Simmons, raps in the 1998 autobiographical song, which reverberated before a packed courtroom in Federal District Court in Manhattan. Attorney Murray Richman said he played the music video in an effort to illustrate how far Simmons' has come since his horrific childhood, which involved physical and emotional abuse, and how promising the future looks for him — despite a guilty plea last November to one count of tax fraud. Federal prosecutors said Simmons owed $1.7 million in unpaid taxes from income made between 2002 and 2005, and said he also failed to file taxes from 2010 to 2015, when he made at least $2.3 million. But Simmons' attorney insisted that his client deserved mercy. "I grant you he has been arrested over 30 times in his life ... But in the last five years, he has never been arrested, and he's trying to put his life back together." "His life experiences were horrible. I've heard terrible tales, but I've never heard such horrible upbringing as this," Richman, who has represented DMX in various cases for over 20 years, said. "We thought the video would really demonstrate to the court just what he had to go through to get to where he was." "I grant you he has been arrested over 30 times in his life," Richman added. "But in the last five years, he has never been arrested, and he's trying to put his life back together." Nonetheless, U.S. District Judge Jed Rakoff, who agreed ahead of the sentencing to grant Richman permission to play one and only one DMX song, decided Simmons still needed to face the music. Rakoff sentenced the 47-year-old rapper to a year in prison and called his tax fraud a "brazen and blatant" crime, according to the Associated Press. Prosecutors had sought a five-year prison term for Simmons, citing his past offenses and past drug use. Abandoned by his parents when he was a young child after he was beaten so bad that his teeth were knocked out, Simmons was institutionalized for much of his youth and first arrested at age 15, his attorney said. He has 15 children by nine different women and has battled drug addiction. Despite his personal troubles, he's had great professional success with albums such as "It's Dark and Hell Is Hot" and "Flesh of My Flesh, Blood of My Blood," and has appeared in movies, including "Romeo Must Die." In "Slippin,'" he pleads, "Ay yo I'm slippin', I'm fallin', I gots to get up/Get me back on my feet so I can tear sh** up." Richman said "the judge was taken" by the song. "It was spectacular," Richman said after the proceding. "He said he couldn't not be affected by the circumstances" surrounding Simmons' upbringing. Simmons has been behind bars since his bail was revoked in January. He sobbed on Wednesday as Richman described his childhood, the AP reported, and in a statement to the court, he said, "I never went to the level of tax evasion where I'd sit down and plot ... like a criminal in a comic book." His attorney described the proceeding as "dramatic" before, during, and after "Slippin'" was played. "In that courtroom, you could hear a pin drop," Richman said.